Rahul Dravid always talks straight. Here's what he said about Indian cricket's most pressing issues. "Our junior cricket needs to think of options-rolling substitutions like in football," says Rahul Dravid. There are very few cricketers in the world who draw the same awe and admiration that Rahul Dravid does. 'The Wall' has continued to speak fearlessly on issues of importance after he brought the curtain down on his illustrious career a few years ago. 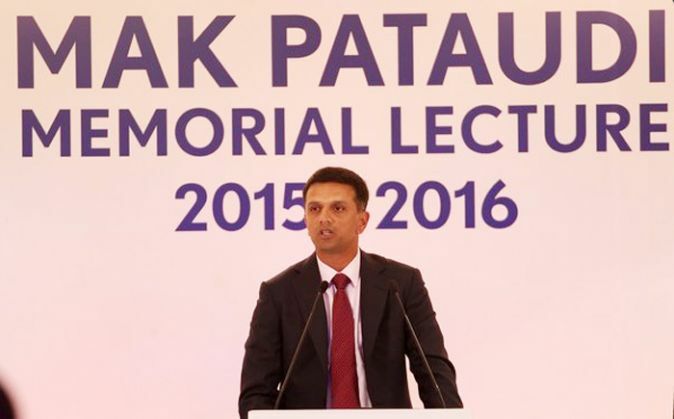 Dravid delivered the MAK Pataudi memorial lecture in New Delhi on Tuesday, 1 December. Touring South African cricketers were in attendance at the lecture, where Dravid spoke on various issues including age fraud in junior level cricket in India, the dying popularity of the sport and the steps that must be taken to save the future of the game. Here are five of the most important questions he raised. Isn't age-fraud in junior level cricket causing us to lose countless talented youngsters? "(It all begins) when a coach alters a player's date of birth so that he can take part in a local tournament. The parents are happy to accept the value of an extra year or two, particularly in junior cricket and, academically at middle school. The truth is that the player who has faked his age might make it at the junior level not necessarily because he is better or more talented, but because he is stronger and bigger. We all know how much of a difference a couple of years can make at that age. That incident will have another ripple effect: an honest player deprived of his place by an overage player, is disillusioned. We run the risk of losing him forever." 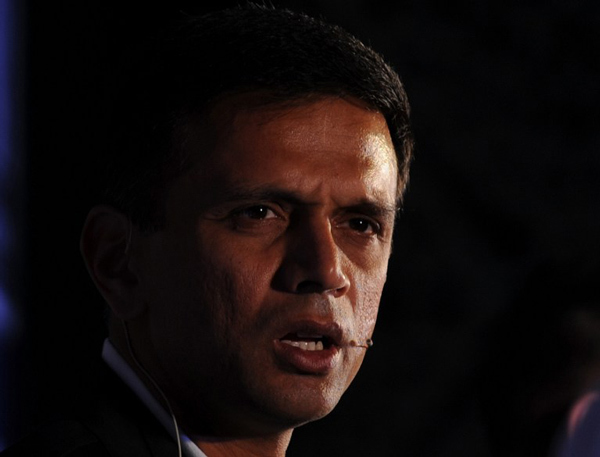 Dravid then suggested that academies demand a birth certificate from every aspiring cricketer and that the data be registered in the state associations' records. He also praised the BCCI's recent introduction of the apparently foolproof bone density test to verify the player's age. What do we play sport for? 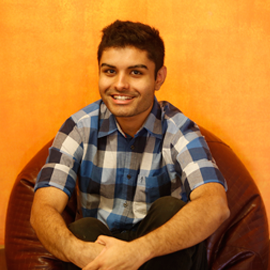 "At 14 it may be in the matter of the age criteria, at 25 it may be fixing and corruption. How are the two different in any way? In both cases, is it not blatant cheating? What do we play sport for? Not merely exercise - then we could run forever or get onto a cross trainer or an exercise bike. We play sport for the all-round lessons it teaches us, for its ability to improve not merely our physical skills but to expand our minds as well. To learn life skills - about discipline, honesty, ethics, fair play, teamwork. Age-fudging and illegal bowling actions are mere short cuts to gain personal advantage for a brief period of time, rather than what sport is about - personal improvement over a career and from there, over a lifetime. How will a sport survive if its finest values - of honest effort, persistence, a respect for the rules, the acceptance of defeat - itself become redundant? How will a sport survive if everyone is cheating at every stage?" Are we doing enough to attract youngsters to cricket? 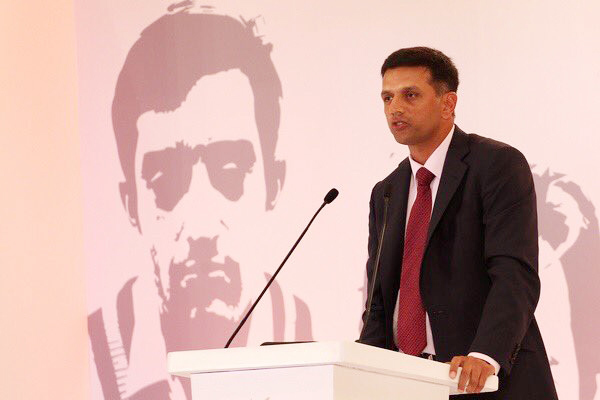 While Dravid expressed happiness at the present generation taking up sports other than cricket, he was apprehensive about the measures being taken to attract youngsters to the game. "Indian cricket must reintroduce its children to the game and its magic all over again." "Has Indian cricket ensured that it will stay the same twenty years down the line? In what is a dynamic sporting environment where our children have more access to other sports. They can watch a Messi, a Federer every day on TV. There are so many football, badminton and tennis academies; table tennis coaches travel to apartment complexes where all you need is a table. Cricket needs to wake up. But how? Rather than expect our best talent to come flocking to our junior cricket nurseries, we first need to have a clear, detailed plan. A blueprint for our junior cricket." Why do parents pressurise their children to be like Sachin? He's the exception, not the norm. Dravid also spoke about parents of budding cricketers investing too much in their children at a very young age, and pressurising them to emulate Sachin Tendulkar. "Sachin was different. Talent-wise, he was a freak. Everything about his rise to the Indian team, the inevitability of his success was beyond the ordinary. It was phenomenal and to us who were his age, it was almost scary. What people tend to forget is that Sachin had a great support system. His family were supportive and caring, his elder brother was always there to guide him, his coach Ramakant Achrekar was more than a coach, a mentor - in life and on the pitch, teaching him how to hold the bat, driving him to games. Sachin was lucky that he had this vast umbrella of support and I dare say and he would agree, he wouldn't have survived and prospered if not for it. Not every young talent is lucky enough to have that kind of support. The history of Indian cricket is littered with stories of young exciting talent falling by the way side due to a lack of support and guidance." How can we promote cricket at the junior level? "At age group tournaments of this level, there need to be strict guidelines to allow more children to participate, rather than have the more accomplished kids to rack up big centuries. Those are important, yes, but in selection matches or zonal games. In school and club cricket, there should be some rules to even out the game-time available to everyone. When an eleven is picked, there are four kids on the bench who have taken a day off from school to sit on the sidelines and do nothing. Our junior cricket needs to think of options - rolling substitutions like in football, or a rotational system in batting or bowling, where everyone is given a chance. Just as an example: maybe batsmen could retire after scoring a 50 (or a 30?) and return only after their side has lost 3 more wickets. Bowlers should be allowed to bowl a maximum of 1/3rd of the total overs instead of 1/5th . We know some of these policies are followed in other cricketing nations, it is time we act too. The longer we take, the more talent is going to be drained away from our cricket." TWEET THIS Rahul Dravid always talks straight. Here's what he said about Indian cricket's most pressing issues. "Our junior cricket needs to think of options-rolling substitutions like in football," says Rahul Dravid.